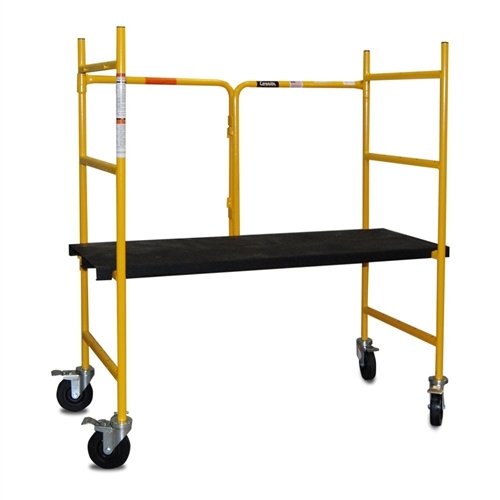 5′ Mini Utility Scaffolding features a sturdy, 1” tubular steel. 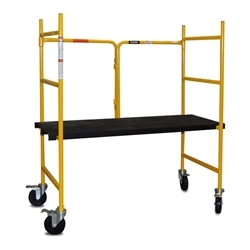 Easy to use unit that folds for convenient storage and handling. Four inch swivel casters with brakes provide complete portability. Steel planks are 10” wide with a textured grip tread for added safety.